This patient lost her front tooth in an ice skating accident and wanted to explore her options for replacement. 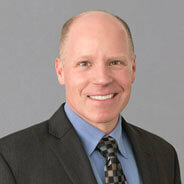 Implants are a tremendous option to replace a single tooth or multiple teeth. Every situation is different for each patient, but often the preferred treatment for tooth replacement is the dental implant. The dental implant is the most natural feeling way to restore missing teeth and, in theory, the longest lasting restoration. A dental implant is placed into the jaw as a substitute for a missing tooth root. Dental implants can support single or multiple crowns or stabilize a denture. Sometimes there is a waiting period for the bone to heal around the titanium post before a tooth can be attached (restored) to the implant post. Some patients can have a same-day procedure, where the implant is placed and tooth restored in a single appointment. 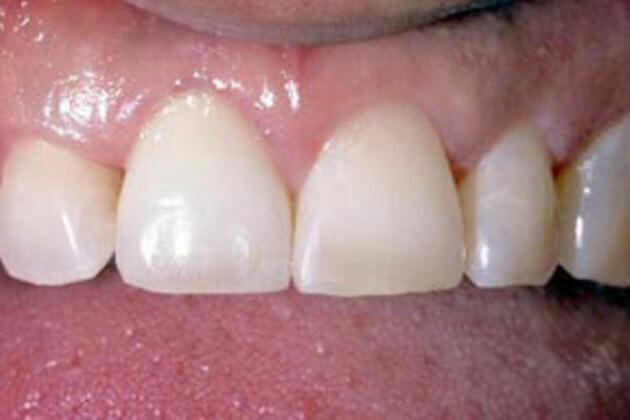 The options were to place a three tooth bridge, which requires the removal of a lot of the adjacent teeth, an implant, or a removable appliance, like a partial denture. The patient chose to have an implant placed. The completed treatment looks like nothing ever happened. The patient has a matching, permanent front tooth. 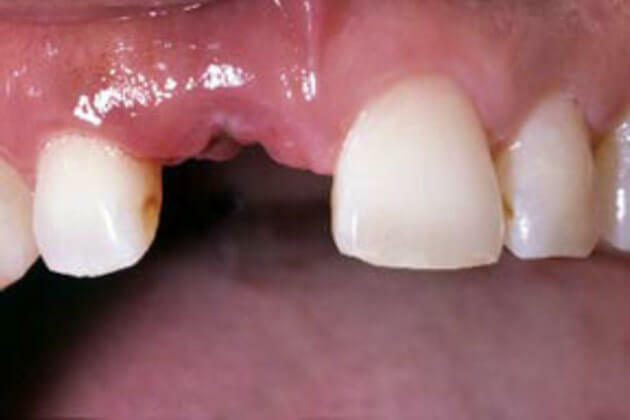 If you didn’t know the tooth was previously missing, you would never guess that any treatment had been done.